A graduate of Bishop Hendricken High School in Warwick and Assumption College in Worcester, Massachusetts. While at Assumption College, he completed a degree in biology and also completed the necessary prerequisites for dental school. He attended Temple University Dental School participating in both the pediatric and oral maxillofacial study clubs and received his degree in 2003. His practice includes, but is not limited to, work with crown and bridge, veneers, CAD/CAM dentistry, soft tissue laser and cosmetic dentistry. 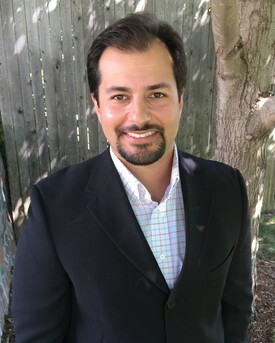 Dr. Puerini enjoys hiking, camping, snowboarding, surfing and anything that involves the outdoors.He lives in Cranston with his wife and their three children. A graduate of Bishop Hendricken High School in Warwick and Assumption College in Worcester, Massachusetts where he received his Bachelor of Arts degree in Biology. He earned his dental degree from Tufts University School of Dental Medicine in 1992; becoming a partner in the practice in 2001 with Dr. Stephen J. Puerini, Sr. 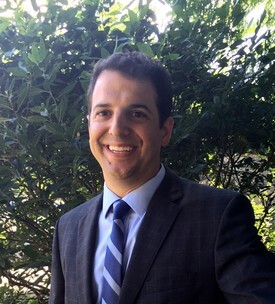 While Dr. Saccoccio’s main focus is family dentistry, his expertise has expanded to include prosthetic and implant dentistry as well as a full range of cosmetic dental services. He is a member of the American Dental Association and the Rhode Island Dental Association. When not practicing dentistry, he devotes time each week to the patients residing at the Zambarano Unit of the Eleanor Slater Hospital where he serves as the Director of Dental Services. He also serves on the Professional Advisory Committee of Blue Cross Dental. 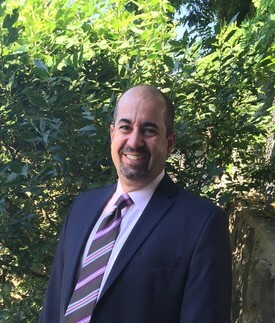 Dr. Saccoccio is an avid gardener, composter and outdoorsman and resides in Cranston with his wife and their three children. Joined RI Dental Arts in 2011. Since then he has provided quality-oriented comprehensive care for all of his patients. He is a native of Rhode Island and graduated as Salutatorian from West Warwick High School. He earned a bachelor’s degree with honors in Molecular and Cellular Biology from the University of Connecticut. Later, he attended the University of Connecticut School of Dental Medicine earning his DMD. While studying at UConn, he participated in an international mission trip to South America and provided dental care for the under-served population. After dental school he was selected to participate in a yearlong Advanced Education in General Dentistry program. Along with advanced dental procedure training, the residents were tasked with caring for many high risk, special care patients at the local hospitals. Dr. Shihadeh’s practice includes dental implants, fillings, crown, bridges, CAD/CAM dentistry, veneers, partials, dentures, TMD treatment, root canals and extractions. He is a member of the American Dental Association, Rhode Island Dental Association and the Academy of General Dentistry. He pursues a number of continuing education opportunities each year to stay up to date with his every changing profession. He lives in Coventry with his wife and two children. He enjoys playing soccer in a number of local men’s leagues and is constantly working on do-it-yourself home improvement projects.